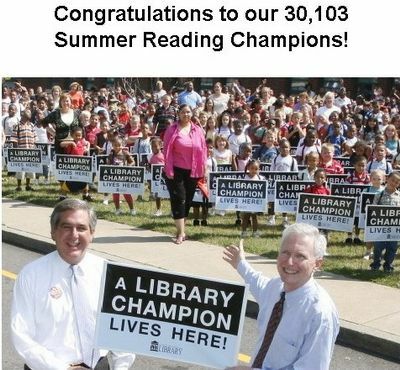 其實最令我印象深刻的就是「A Library Champion Lives Here!」這塊牌子，它可以說是一個榮譽的象徵。只要看到家門口有這牌子，就知道有位 Library Champion 住在這兒，這是何等的光榮呀。如果你沒有的話，應該也會想到得到一個吧? This entry was posted in 閱讀、行銷、新聞 by ted. Bookmark the permalink. 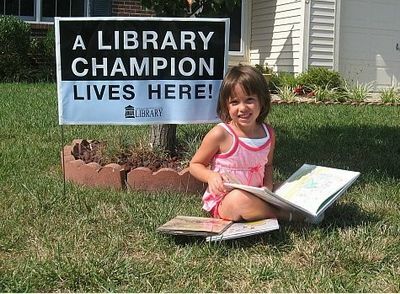 我也很喜歡「A Library Champion Lives Here !」 的榮譽牌子耶! 或許圖書館下次辦活動除了獎品鼓勵之外，也可如你所說的製作獎勵牌張貼在系辦或校園內哦! 謝謝你分享的訊息!